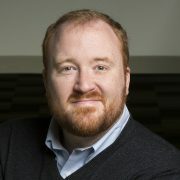 Matthew Johnson is the head of engineering for the Machine Intelligence and Perception group at Microsoft Research, Cambridge, where he has worked since 2014. Prior to working at Microsoft he was a research software engineer at Nokia on the Point and Find team, where he was a contributor to the HERE City Lens product. In 2011 he was hired by Unicorn Media as Vice President of Engineering, a position he held until it was acquired by Brightcove in 2014, where he was a Distinguished Engineer. Matthew holds a Ph.D. in Computer Vision and Machine Learning from the University of Cambridge. Past projects (such as SVM.NET or Vision.NET) now live on GitHub at matajoh.